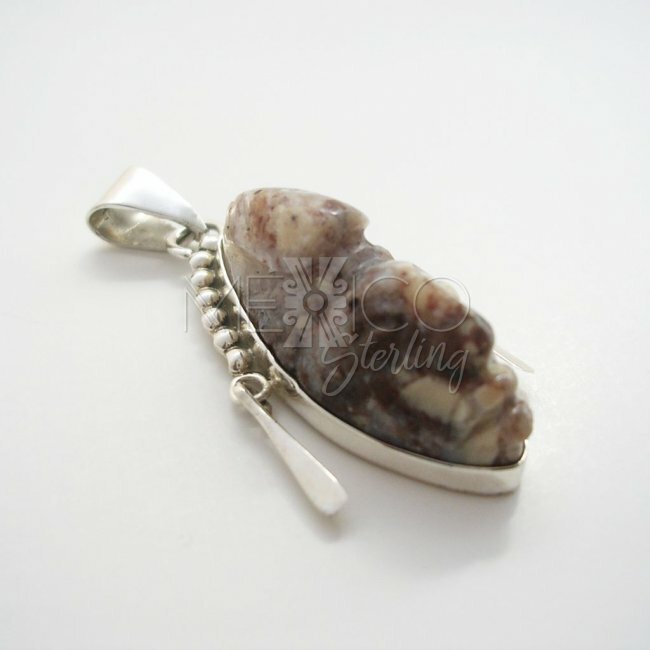 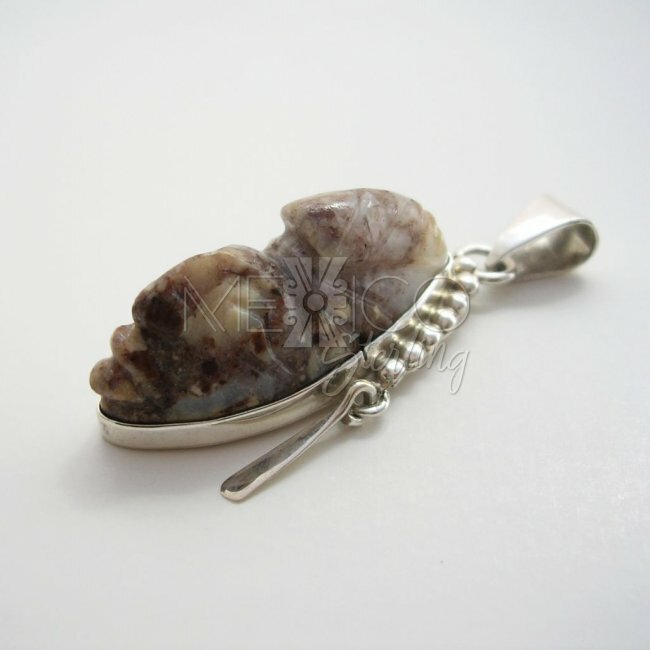 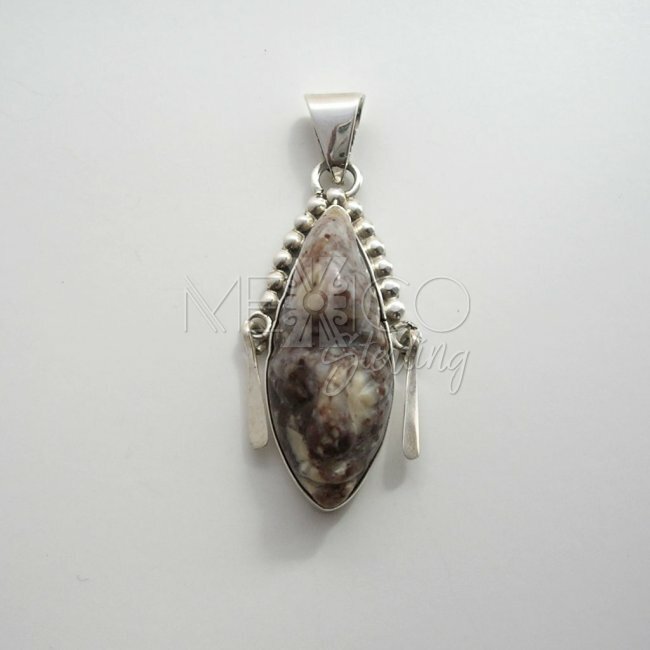 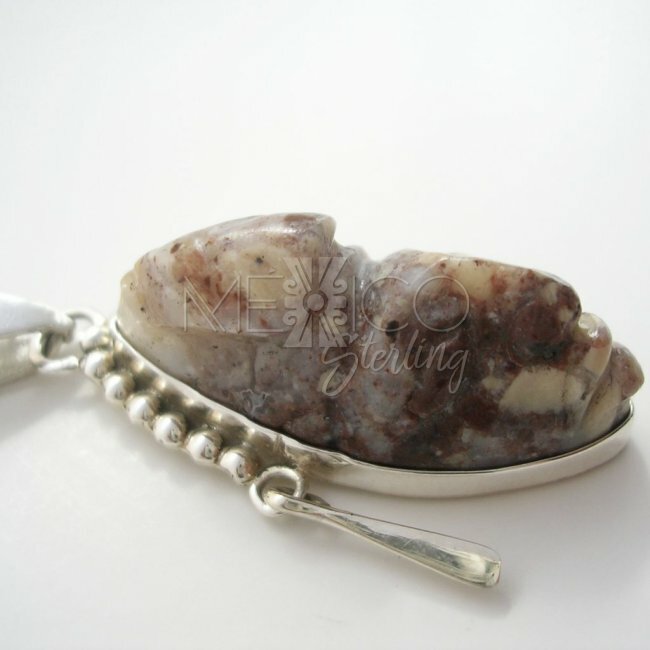 Mayan Profile Sterling Silver Pendant - $26.00 : Mexico Sterling Silver Jewelry, Proundly from Mexico to the world. 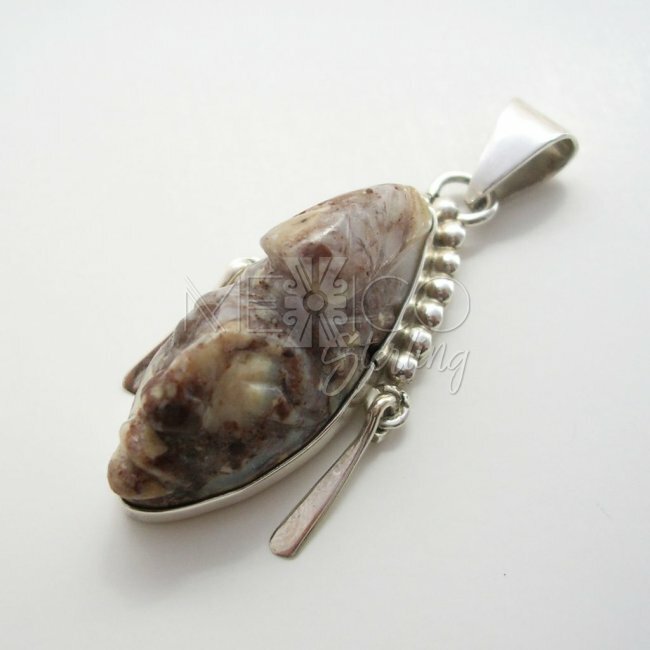 Dimensions: Width : 3/4" Length : 1 3/4"
Beautiful ethnic silver design with a carved Mayan profile as the centerpiece. 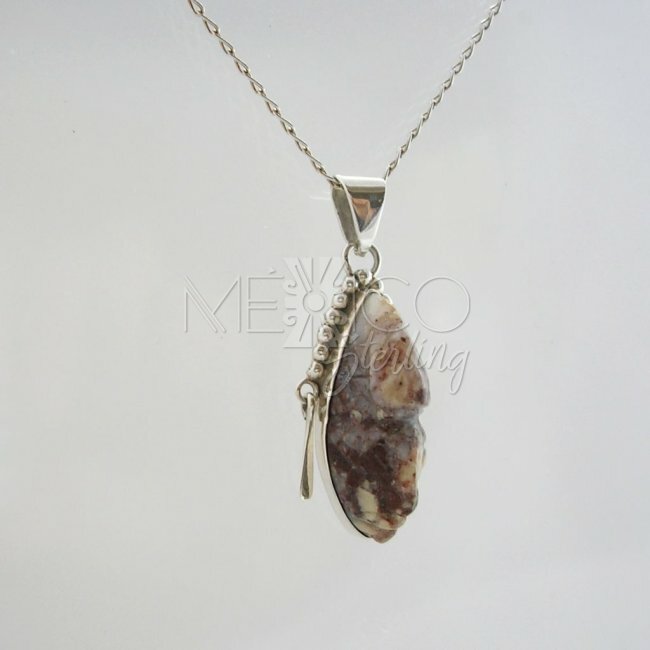 This delicate Taxco silver pendant does not have many details but it does carry just the right charming features that make it a very nice piece of jewelry. 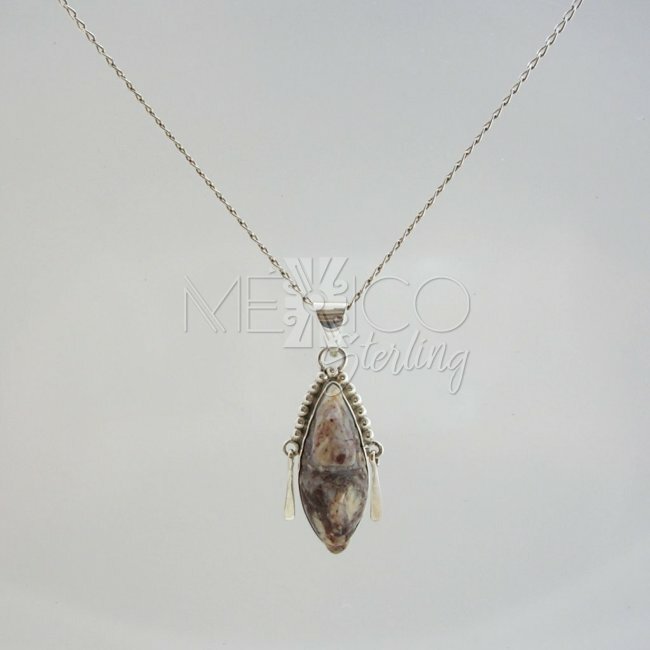 The frame that encloses the Agate carved Mayan profile is simple yet attractive to the eye, with a simple prehispanic theme. 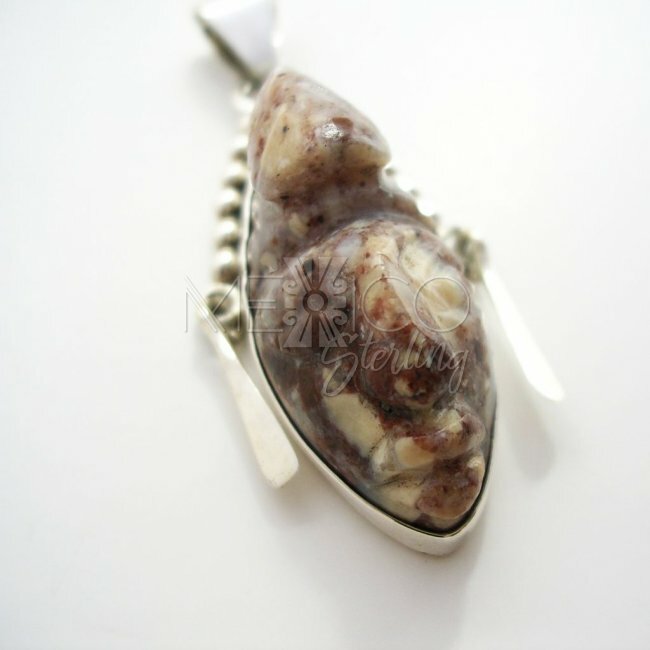 The carved face on the gemstone also has a wonderful work that draws a very clear profile. 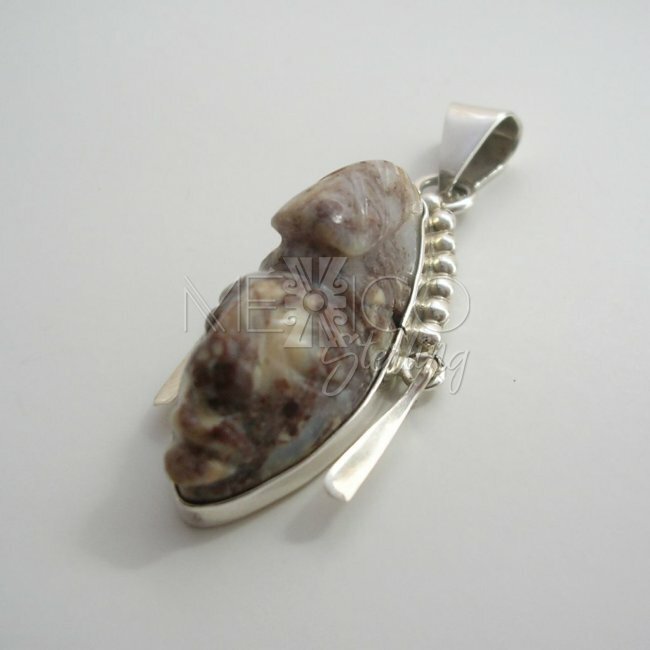 This is a natural stone, completely carved by hand, the whole piece was hancrafted with a nice finish.